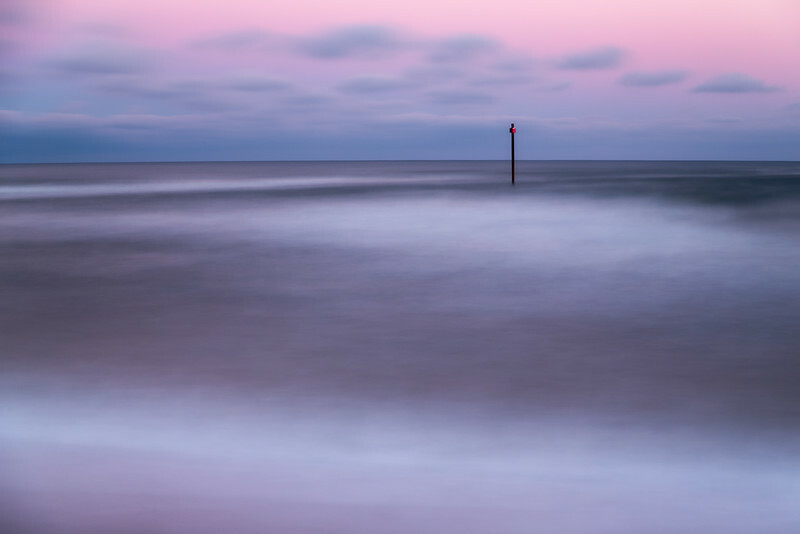 This 76 second exposure was taken during sunset at Wrightsville Beach, North Carolina. The sun was setting behind me. Often times at sunset the water takes on a lavender hue.